Remove harmful moisture from your hearing aid with the Best Value DryAid dehumidifier. Even a little moisture can attack sensitive electronics in hearing aids and needlessly shorten their life. Prevent damage by storing your hearing aid in a dehumidifier overnight. Easy to use, and the active pellets can be recharged. 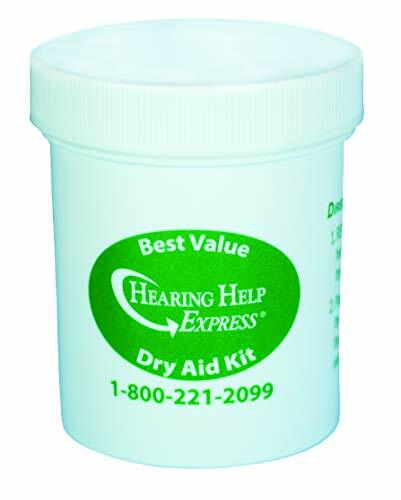 Manufacturer: Hearing Help Express, Inc. Publisher: Hearing Help Express, Inc. Studio: Hearing Help Express, Inc. If you have any questions about this product by Hearing Help Express, contact us by completing and submitting the form below. If you are looking for a specif part number, please include it with your message.